The Amarin Lagoon Hotel, the best Luxury Resort Hotel located on the plain with beautiful lagoon scenery of Phitsanuloke Province. 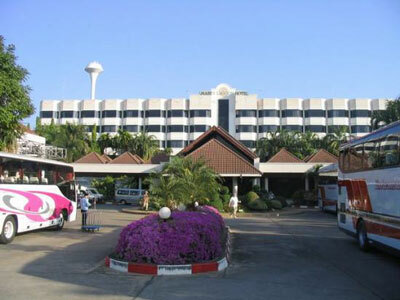 The serenity of the location make the Amarin Lagoon Hotel the ideal place to spend your valuable time. Feeling warm and comfort with our impressive reception in brightening garden view Lobby. The 305 luxurious modern guest-room face to natural scenery of Phitsanuloke plain and father mountain view. Each room is apppointed with meticulous care and attention to create an atmosphere of elegance and comfort. All accommodation such as minibar, T.V., Idd. Telephone, air-conditioning, hot and cold running water was prepared. Swimming Pool - Separate Adult and child pool. Open daily from 08.00am. - 20.00pm. Fitness Center and Sauna Rooms - Separate Male and Female room with latest weight equipment. Open daily from 08.00am. – 20.00pm. Mithila Spa - Open daily from 13.00pm. – 22.00pm. Thai traditional massage - Foot, Body and Oil Massage open daily from 13.00pm. – 01.00am. Business Center and wireless internet - Open daily 24HRS. Golf Course (18 wholes) - Water Golf Resort & Spa is located 40 minutes far from the Amarin Lagoon Hotel. Guests can join the course daily with free shuttle bus to the resort.